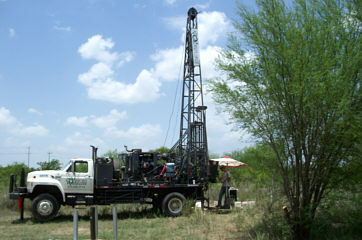 Vortex Drilling's mission is to be the best environmental drilling specialist in Texas. We will help maximize field production by providing a knowledgeable and experienced field crew. In addition, all employees are continually educated in safety awareness and safe work practices; thereby, securing a safe working environment. Vortex Drilling, working for both you and the planet Earth! © 2008 Vortex Drilling, Inc. All rights reserved.